If we were in the beautiful Piedmontese town of Alba right now, we’d be shaving white truffles over our uova strapazzate. But we are in good old Frenchtown, NJ. 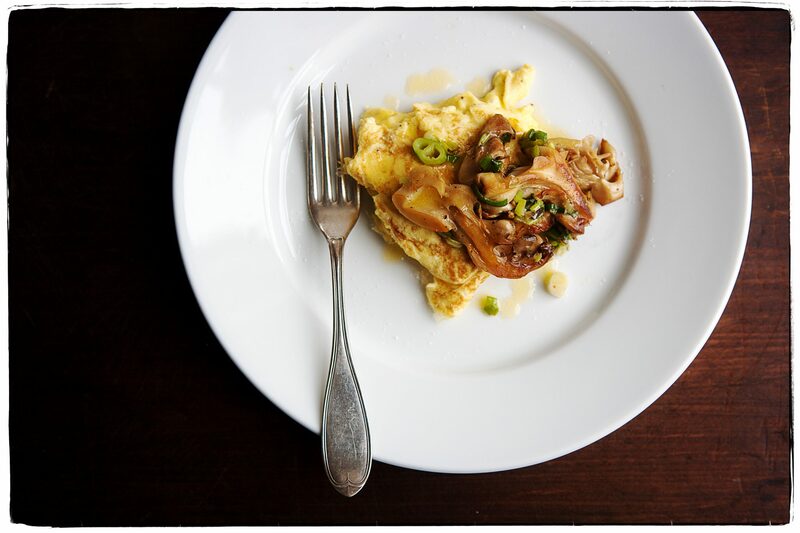 So for lunch today, we served a delicate scramble of local eggs under a pile of buttery sautéed hen-of-the-woods and scallions. Though travel is alluring, we are happy to be here at the studio, still eating like queens.